Italian two-wheeler manufacturer Piaggio is offering an attractive festive package to customers who purchase their Aprilia and Vespa branded scooters from September to October 2018. 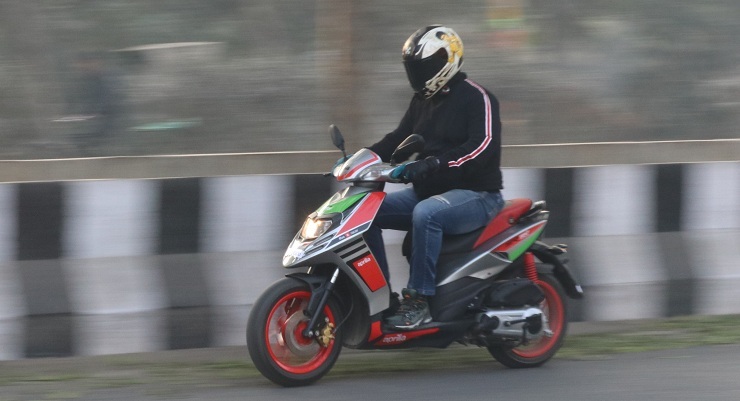 The offer, dubbed ‘5X Fun Offer’, delivers benefits worth over Rs 10,000 and is valid on Aprilia and Vespa’s entire range of 125 and 150cc scooters. The offer covers Aprilia’s SR 150 Race, the quickest-accelerating scooter currently on sale in India, with a 0-60kph time of under 7 seconds. The new ‘5X Fun Offer’ is also available on the newly launched Vespa Notte Limited Edition which is priced at Rs 68,845 (ex-showroom, Pune) and is the most affordable Vespa currently being sold in India. The benefits include three years of extended warranty, in addition to the two years of standard warranty and five years of insurance. The insurance being paid for the company is actually four years of third party insurance, though customers will still have to fork out the cash for the first year of comprehensive insurance. In addition to this, customers can avail free service for the first year and two years of ‘On-Road Assist’ – Piaggio’s on-road assistance programme. The third part of the offer is actually a choice between three different payment options. Customers can choose between Rs 5,000 in benefits through PayTM or opt for zero-cost EMI or a low down payment of Rs 3,999. Piaggio welcomes the festive season with its prime and inclusive offer on Vespa and Aprilia range of scooters. Consumers value both the brands for their stylish looks, sturdy designs and Italian elegance. Our unique festive offer has been launched as a step in that direction and it celebrates the spirit of choice for customers. Consumers can own our legacy and celebrate the spirit of life and freedom. Our ‘5X Fun Offer’ is not only a lucrative package that adds value to the cost of ownership but also provides financial benefits to the customers. Piaggio will be absorbing the insurance cost for five years and will also additionally provide five years warranty at no extra charge, making it a one-of-a-kind offer.